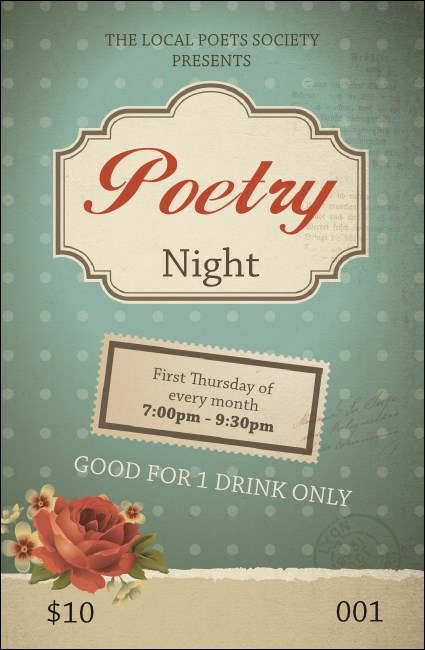 Celebrate language, rhyme and verse and help your guests enjoy it more with the Poetry Drink Ticket. A light blue, polka dot background shows off your event details, with a lovely rose sitting below. Offer tea, coffee or wine to book lovers and wordsmiths with this delightful design!